Before we start the Kenai River fishing season, we start our salmon season fishing in the months of May and June for king salmon on the Kasilof river. This scenic river is approximately 13 miles south of Soldotna and is a quiet, drift boat only fishery. We fish out of my stable 20 foot willie drift boat, typically back trolling plugs and other baits through the holes where these fish lay. We will fish the Kasilof until early July. The First run King salmon in the Kasilof river average 12-35 pounds, but larger fish are possible. The Kasilof river is home to a strong hatchery program which allows for a liberal 2 King salmon per day limit. These first run Kings fresh from the ocean are fantastic light tackle fighters, and also make excellent table fare. Starting in July we switch to Kenai river fishing, where we can target the largest kings in the world out of the comfort of my 20′ Willie Predator powerboat. We fish for these hard fighting fish by back trolling or back bouncing large plugs or spin-n-glos on a jet-diver, utilizing bait when legally allowed. Fishing for Kenai king salmon is not a numbers fishery, however the raw power and sheer adrenaline rush an angler experiences when they hook one of these giants more than makes up for it. The incredible fight these fish put up can defeat even the most experienced angler, although the largest fish of the 2017 season was caught by a 13 year old boy and was 50″ long and an estimated 50 pounds! Just imagine the battle that a fish like this estimated 60 pounder put up. These second run kings are the ultimate sport fish. If the priority for your Alaskan vacation is to bring home a box of fish, look no further than the sockeye salmon. Between 4-7 million of these tasty 6-13 lb fish return to the cook inlet every year, making them the ultimate sustainable resource. They first show up as a trickle in early June as the 1st run fish head to the Russian river, then again in July as the massive 2nd run brings tens of thousands to hundreds of thousands of these fish into the river per day. Following these fish is a spike in tourism in July, as tourists by the thousands flock to the public fishing areas. This can make fishing for these fish a stressful, and some times dangerous affair as you stand shoulder to shoulder with other fishermen, all vying for the best spots. By booking a guided trip for sockeyes, we can get well away from the stress of the public fishing areas as we fish the best spots which are accessible only by boat. Here you won’t have to worry about the stranger next to you hooking you or loosing your spot if you step out of the water for a minute to take a break. 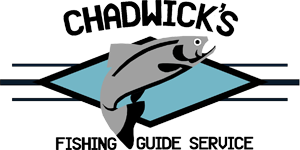 We use our 20′ Willie powerboats to get you to and from productive fishing spots, and to leapfrog huge schools of these fish as they head upriver. When fishing for sockeye you can choose to use either top of the line conventional or fly gear provided by myself, and we will teach you the very specific technique used to catch these fish. Typically the limit on sockeye will begin at 3 per person, then late July or early August becomes liberated to 6 fish if AK Fish & Game deems appropriate. If I had to pick one salmon to call my favorite, it without a doubt would be the silver salmon. No other fish in Alaska is as fast and acrobatic as a fresh chrome silver. Frequently you spot the silver thrashing on the top of the water before you even know you have one on! These fish can reach weights up to 20 pounds, although average 8-14 pounds. With the light tackle we use these fish are truly a riot! There are many productive ways of fishing for the silvers, and at times you may find us fishing plugs, bobbers, casting spinners or twitching hand tied bunny strip jigs. There are times we can even catch them on fly rods! If you are looking for a good time in August or September look no further than a trip targeting these feisty fish. Silver salmon have a delicate, flavorful flesh making them my favorite salmon to eat. When the bite is on, limits of silver salmon can come quickly resulting in full fish boxes and lots of good eating. Often times we will catch bonus sockeye salmon while working on reaching our limit of cohos. The limit is daily at 2 per person in August, and 3 per person after September 1st. The Kenai River is home to some of Alaska’s largest trout, and is certainly the best drive to trout fishery in the state. Trout season opens in June, and the fishing just gets better as the season goes on, eventually reaching its peak as the salmon begin to spawn in August and September. Trout fishing trips are customizable and I can cater to both fly and spin fishers. Trout on the Kenai river average 12-25″, with larger fish very common. For an angler looking for lots of action this is the perfect trip, as some days we can boat 70-100 fish. By law all trout species on the Kenai river are catch and release only. Available on even numbered years pink salmon provide plenty of action, and they are a blast on light tackle. At times pink salmon are so abundant you can catch one on nearly every cast. These are a fine eating fish when they are bright and fresh from the ocean. Many people smoke or can these 3-8 pound fish. With a liberal 6 fish limit its easy to fill a fish box when fresh pinks enter the river. This is a great species to target for the angler just looking to bend a rod on many aggressive fish and have a good time. The Kenai river kings are truly special because they are genetically unlike any other king salmon on earth. Historically they reached sizes up to 100 lbs, with the world record 97 lb 4 oz fish being caught by legendary angler Les Anderson in 1985. However, partially because of anglers selectively harvesting the largest fish the average size of the king salmon on the Kenai river has drastically decreased in the last two decades. The average size fish is now less than 50 lb, but each year we tend to catch several over 50 pounds. These are still truly incredible fish, and remain larger than the king salmon caught anywhere else on earth! To do our part as good stewards of this increasingly rare, precious resource we have joined with a growing number of sport fishing guides who promote practicing CPR (Catch, Photograph and Release) on the trophy Kenai Kings. Starting in 2017 all large wild Kenai river King salmon will be released after a quick photo and video shoot. We will still harvest the more numerous small and medium sized king salmon. These fish are much better eating and their genetic removal will not harm the run. Doing this allows these amazing fish to continue on their epic journey and propagate the species. This is our way of doing what we can to save these incredible fish before these genetics are gone to history forever. These giants are truly too rare and special to kill, especially as we come out of a period of low abundance. It also helps to ensure that people can enjoy Kenai River fishing for years to come! State law dictates when Kenai River fishing, an angler who decides to harvest a king salmon may no longer angle out of a boat for the remainder of the day. By releasing your fish you may continue to angle, trying your luck at catching an even larger one. It has happened so many times in the past where an angler catches and keeps a king in the first hour of the trip, then is limited to spectating for the remainder of the day as the rest of the clients catch and release king after king, all the while wishing they were still able to wet their line. Our most popular trip is a full day King/Sockeye combo. Spend the morning catching world class king salmon, then loading the fish box with sustainable sockeye salmon in the afternoon. An additional incentive to releasing your King Salmon is offered by Fish For The Future, a non profit organization dedicated to saving the unique genetics of the trophy king salmon that reside in the Kenai river. The organization has shown their dedication by offering weekly prizes and random drawings for photos submitted of King Salmon that were released out of the Kenai and Kasilof rivers. These prizes range in value up to $1000 and include replica fish mounts, prints, halibut and bear viewing charters and more!